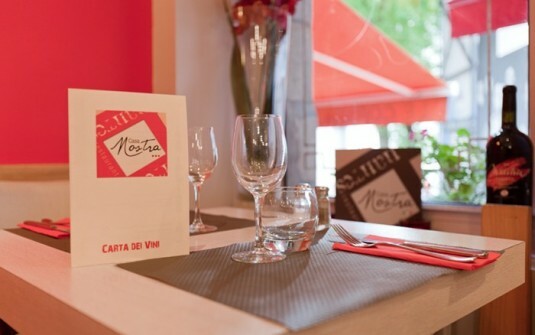 Located in the heart of the Graslin quarter, Casa Nostra, whose translation means "Our House", is a restaurant that is aptly named: it feels like home whether you are pure strain Nantes or not! It is in a modern decor, sophisticated and warm that you can sample Italian specialties all more attractive as each others.The pastas, pizzas and gratins Casa Nostra propel you directly in Italy at first bite, while the card will surprise you with its wide selection of pizzas to eat in or to emporter.Les house specialties, including Milanese veal cutlet, you will be offered delicious accompanied by fine wines, Italian and French. For dessert, the chef of Casa Nostra recommends its gourmet coffee, "the best of Nantes" ... the Bonus: You will enjoy the terrace all year, it is heated in winter.